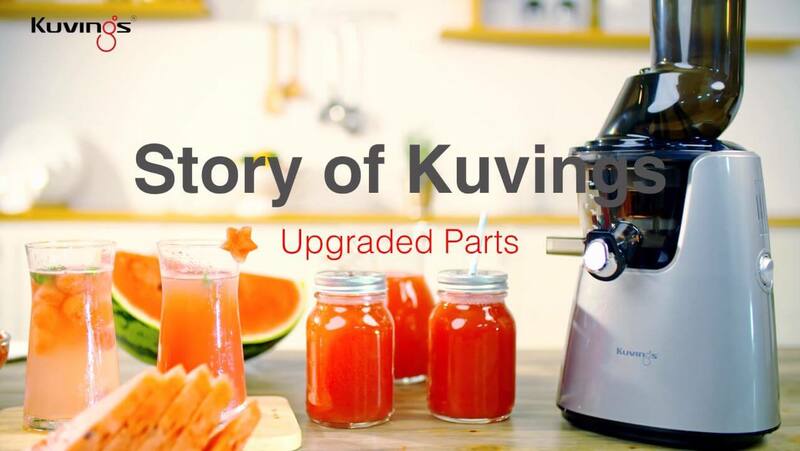 The Kuvings Whole Slow Juicer C7000 (or C9500 outside the US) is the updated and improved successor of the Kuvings B6000. 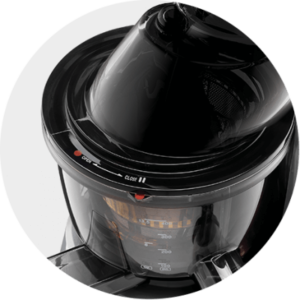 The C7000 is a high-quality juicer which falls into the category of top-end juicers. 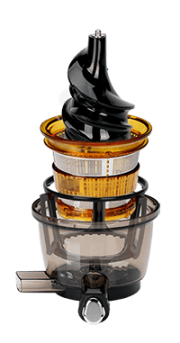 The Kuvings Whole Slow Juicer uses a patented slow-speed masticating technology which produces minimal separation and oxidation. 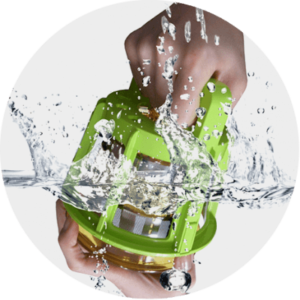 It comes with a 3-inch feeder, and it’s advertised as being able to juice whole fruits and vegetables that fit in the feeder. 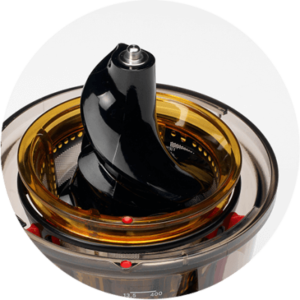 People who have used the C7000, often labelled it ‘best slow juicer’ — but does the C7000 live up to the expectations? Safety-lock: no operation if parts are not correctly in place. First off, let’s be clear — when we say ‘slow juicer’, we don’t mean that it takes forever to make a glass of your favorite juice. We are in fact referring to the masticating or chewing motion the juicer uses to extract the juice from fruit and vegetables. 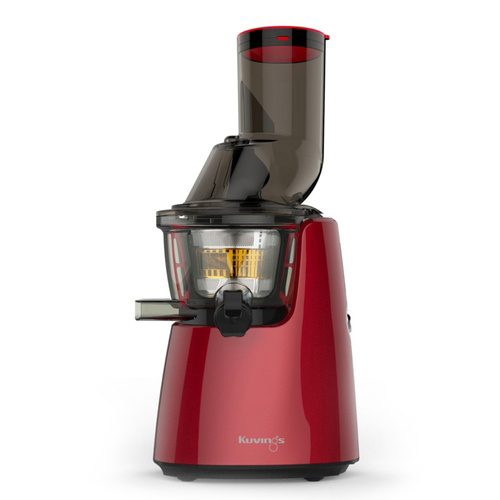 Like most slow/masticating juicers, the Kuvings C7000 slowly crushes and squeezes the produce to extract as much juice as possible while preserving most of the beneficial nutrients and minimizing oxidation. Ok, so let’s take a real hard look at the details. Let’s start with the assembly. 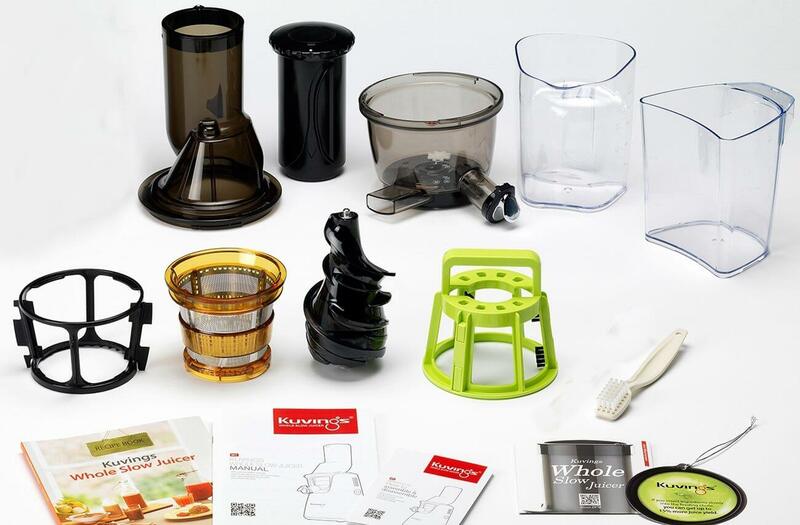 This juicer has a lot of pieces to put together and might be a bit confusing the first time you take it out of the box, especially if this is your first juicer. But don’t worry, you’ll figure it out very quickly, and soon enough you’ll be able to put everything together in a few seconds. This Kuvings weighs a ton. Really, it does! Ok, maybe I’m exaggerating a bit, but it is freaking heavy, which I consider a plus. Why? 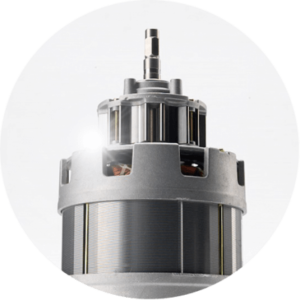 First, because it means that the motor and overall built is of high quality, and second because there’s no way it will wobble off your kitchen counter. The operation is pretty silent, with little or no vibration. So, when you wake up in the middle of the night craving a glass of that lovely healthy juice, you don’t need to worry about waking up the neighbors. 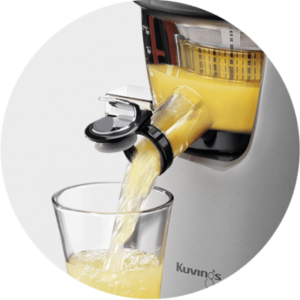 The Kuvings C7000 has a 3-inch-wide feeder, which is much larger than that of your average juicer. 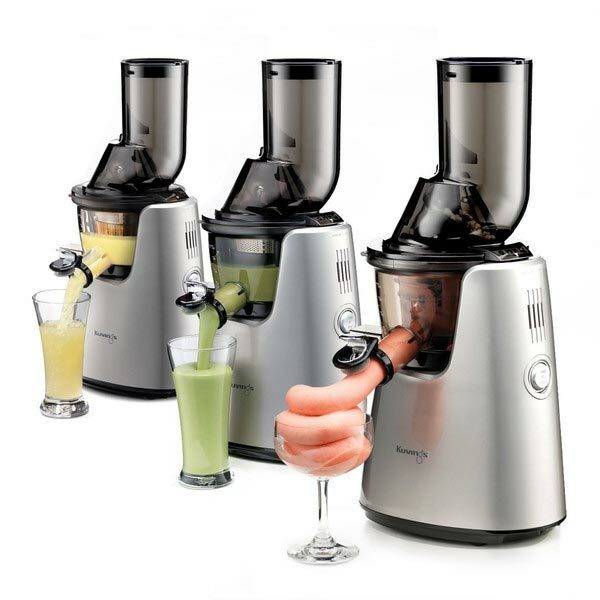 In fact, Kuvings say that you can feed your produce in one piece, without chopping — hence the name ‘whole juicer’. But as much as I love the C7000, I have to say that that’s not always true. Although it does juice whole small fruit and veggies like small apples etc., it can sometimes jam with large and hard items like big carrots. The reverse button comes in handy in such situations, but for a continuous juicing experience, I recommend chopping most ingredients into large pieces. 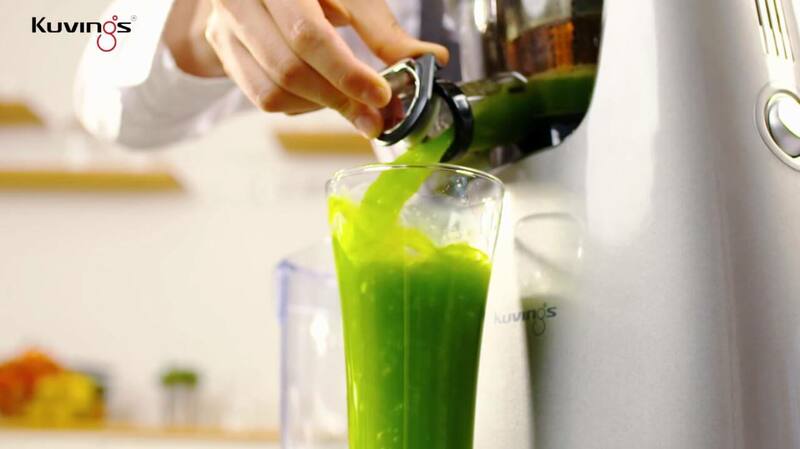 Also, it’s always best to coarsely chop leafy greens that have stringy stems, such as kale and spinach, to avoid clogging, which is typical for most masticating juicers. 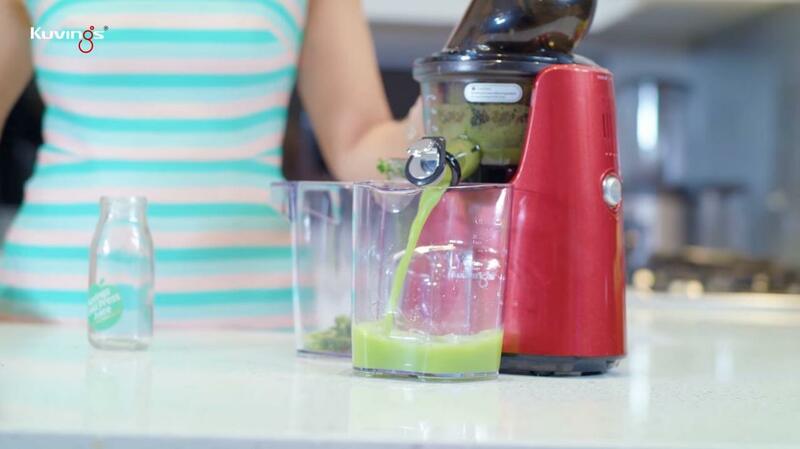 When compared to other juicers, this slow juicer has a better yield. So for the same amount of produce, you will get more juice. In fact, the discarded pulp comes out dry and compact. And that’s your confirmation right there; this is one efficient juicer, and you are getting out every last drop from your fruit and veg. The juice from the Wide Chute is of superior quality with minimal separation and oxidation and retains most of the nutrients. 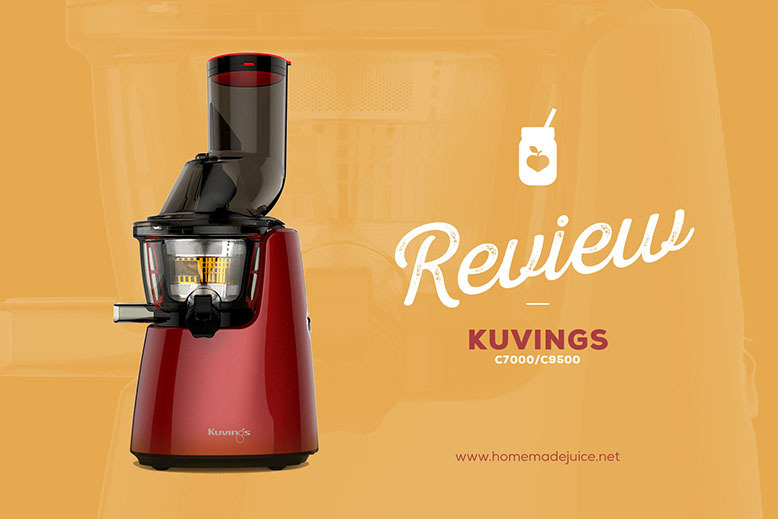 This Kuvings slow juicer is exceptionally versatile, and it’s more than just a simple juicer. Sure, it’s fantastic at juicing fruit and vegetables, including leafy greens, but it has more tricks up its sleeve. The C7000 can also juice soybeans to make soy milk, and it can even make cashew and almond milk. The quality is outstanding and puts the store-bought varieties to shame. The smoothie strainer makes excellent smoothies. 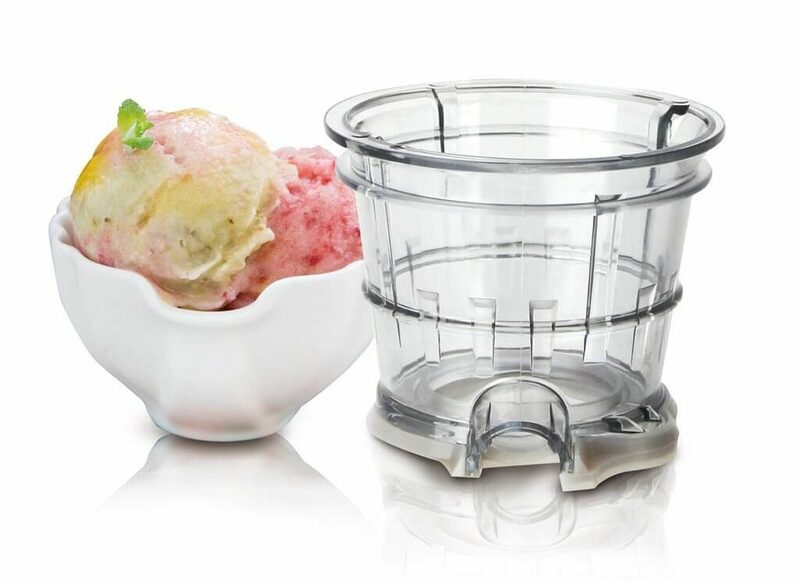 The optional blank strainer can make sorbets from frozen fruits which taste great without the help of any additives. The blank strainer also makes purees from soft fruits like banana and mango and even mashes cooked veggies like potatoes and carrots. It can also be used to make baby food using cooked vegetables. 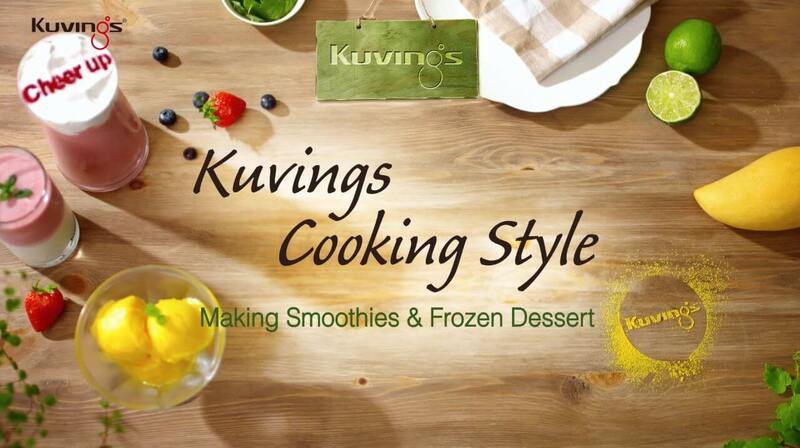 The Kuvings Slow Juicer cold-press juice from fruits, vegetables, and nuts evenly and gently. With the slow-speed masticating technology, there is minimal separation and oxidation. 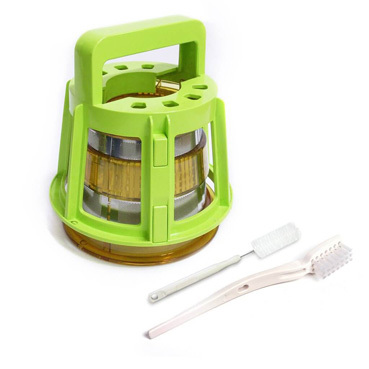 The Kuvings Whole Slow Juicer is not dishwasher-safe (or rather does not clean well in a dishwasher, like most juicers), but it comes with three easy-clean tools — a rotating strainer-cleaning brush, a regular brush for scrubbing and a small ‘bottle-brush’ for cleaning the outlets. 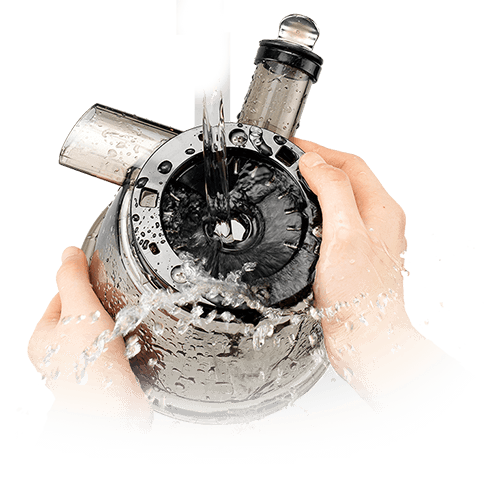 It’s always best to clean the juicer immediately, and after some practice, cleaning the juicer can be done in a few minutes. 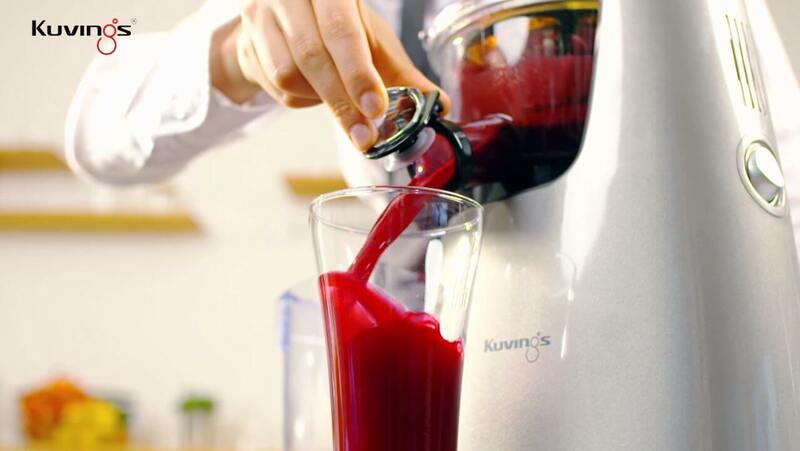 One last thing — The Kuvings is one of the best-rated juicers there is, but it is also one of the pricey ones. 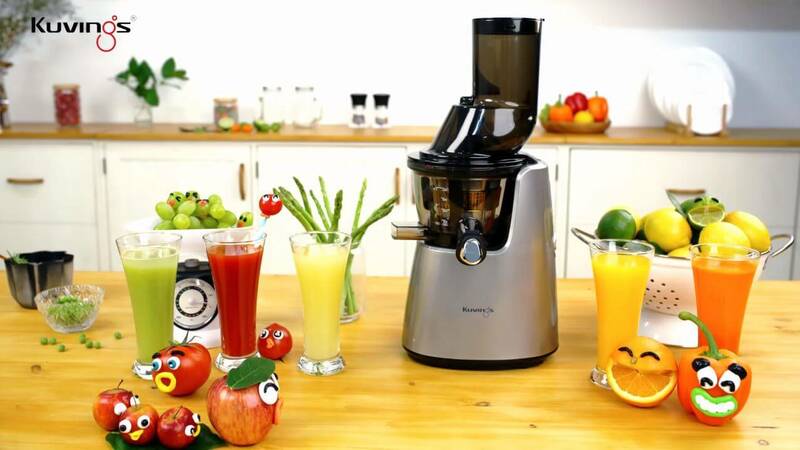 So if you are looking for your first juicer but do not wish to spend a lot of money, this might not be the one for you. 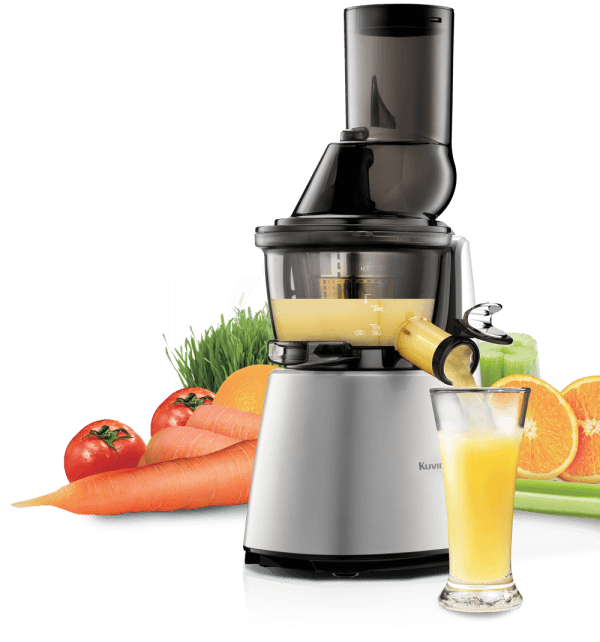 However, if you’re serious about juicing, and you’re in it for the long haul and can spare the extra cash, this could be easily the best juicer you could buy. 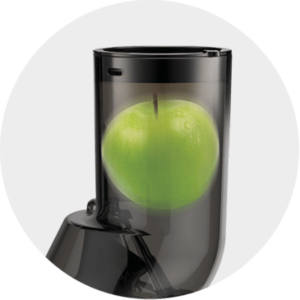 High-quality slow juicer with a 3-inch-wide feeding tube for large and whole ingredients.